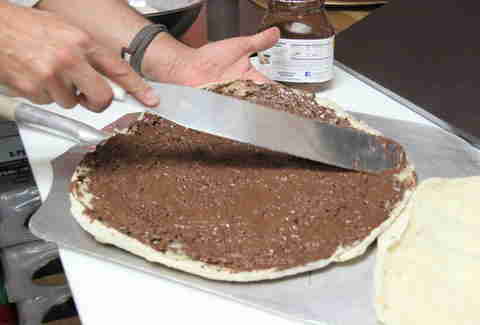 Boldly going where no pizza joint has gone before, Pellicola Pizzeria -- a Downtown slice-house from a lauded NY pizza dude and the guys behind Seven Grand -- just dropped the pinnacle of sweetness: Nutella Pizza, a wondrous ode to the hazelnut-chocolate spread that got you through that time Joey and Dawson broke up. And also that time Joey and Pacey broke up. And also that time... Dawson and Pacey broke up? Why's it gotta puff? 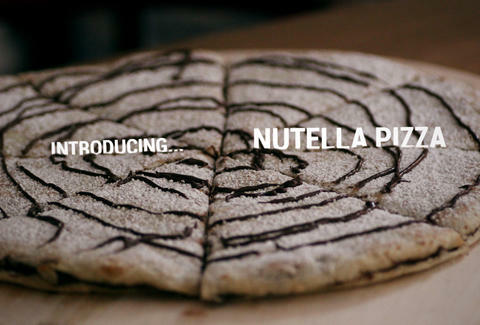 'Cause it's STUFFED WITH NUTELLA and you basically have to make it like a giant sandwich. 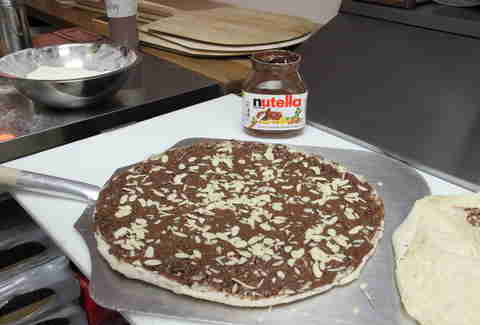 A giant, NUTELLA PIZZA SANDWICH! 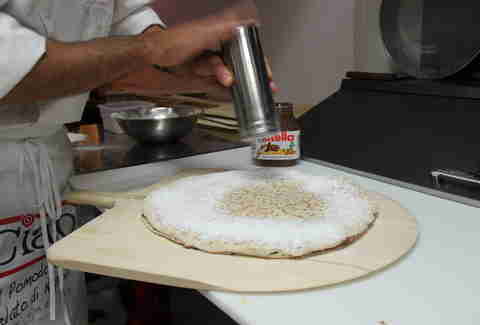 ... and tops it with a crunchy layer of almonds. Nuts, right? 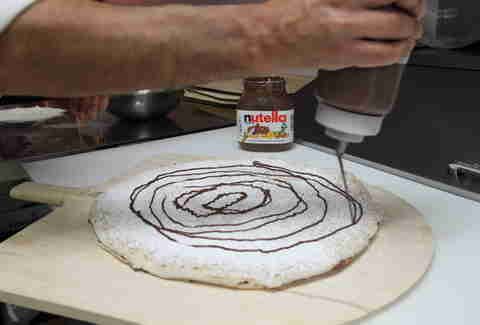 ... and of course, another spiral of Nutella. Just in case. In the words of Donatello when you stole the full-life pie in Turtles in Time (even though your little brother had less health and totally needed it), "Pizza time!" 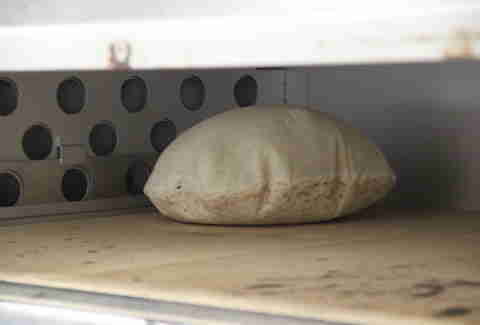 Oh, and did we mention they're open 'til 3a?